Self-renewal: Stem cells can renew themselves almost indefinitely. This is also known as proliferation. Differentiation: Stem cells have the special ability to differentiate into cells with specialized characteristics and functions. Unspecialized: Stem cells themselves are largely unspecialized cells, which then give rise to specialized cells. BACMT then set out to find the very best, most highly-reputable stem cell clinic in the world, who was passionate about the possibilities and unlimited potential of stem sells and who was offering therapeutic application of stem cells to patients using the highest medical standards possible. Our exhaustive search led us to partner with Wu Stem Cells Medical Center in Beijing, China. Stem cells are specialized cells that are able to give rise to more specialized cells, or differentiate into a specific cell type and appear to be one of the body's ablest tools for self-repair. When a disease or injury strikes, these stem cells respond to specific signals and set about to facilitate healing by differentiating into specialized cells required for the body's repair. That is, provided they exist in sufficient numbers and receive the correct signals when disease or injury occurs. When they do not, the end result is an inadequate or compromised healing response. Stem cells are present within the body throughout the entire lifespan of a human. The regeneration of skin cells, healing of injuries and growth of hair indicates that some unspecialized cells, called adult stem cells, do exist. They have the potential of infinite division helping the body in regeneration and recuperation as and when required. Research has proved the existence of stem cells in every vital human organ, as well as, the spinal cord and bone marrow. These cells are fundamental to the processes of regeneration, revitalization and recovery of the human body. Stem cells are designed to target areas of body-tissue damage and augment the healing process. These cells are also involved in daily processes as well. Hematopoietic stem cells located in the bone marrow act as a backup for erythrocytes (RBCs) which are responsible for oxygenation of the body and have a lifespan of, at most, 160 days, and a minimum of 130 days. Theoretical calculations suggest the formation of around 350 million erythrocytes per minute. Most of the other somatic cells are also replaced regularly: liver cells after 10 to 15 days, and white blood cells after 1 to 3 days. Many other types of somatic cells also encounter regular replacements and the stock is replenished over varying durations. Every human body has its own recuperative system genetically programmed through evolution to tackle contingencies in the form of physiological threats. So, the pertinent question that arises is why an individual grows old. Why do we still fall terminally ill, at various stages of our lives, even when the body has a regenerative mechanism? An established theory claims that adult stem cells seek damaged areas needing attention with the help of special messengers, but sometimes fail to arrive in adequate time or capacity due to artery blockages. The process of recovery is retarded often leading to irreparable damage. Inability of the body to identify diseases, which damage subtly without raising an alarm, is also an unfortunate possibility. One must also consider that stem cells may age with their power and potential being diminished gradually and completely exhausted after 130 years at the latest. However, the world's oldest verified person lived for 162 years in France. It is argued that stem cells replace damaged cells in a targeted area. Although true in some cases, recent developments suggest that these cells typically act as stimulants helping damaged cells and tissue in augmented regeneration. These adult stem cells employ messengers like interleukins, growth factors and neurotrophic factors that are under their direct control to stimulate damaged as well as healthy cells leading to strengthening the tissue like the muscle tissue of the heart. Research strongly suggests that the redundant messengers are crucial in activating the process of endogenous regeneration. The stem cells start the healing processes with a basic set of actions to prevent inflammation and enhance blood circulation in the damaged area by augmenting growth of new blood vessels and new arteries. Aging is the law of nature, and as such, nature is invincible. But, modern science can put up a worthy challenge. 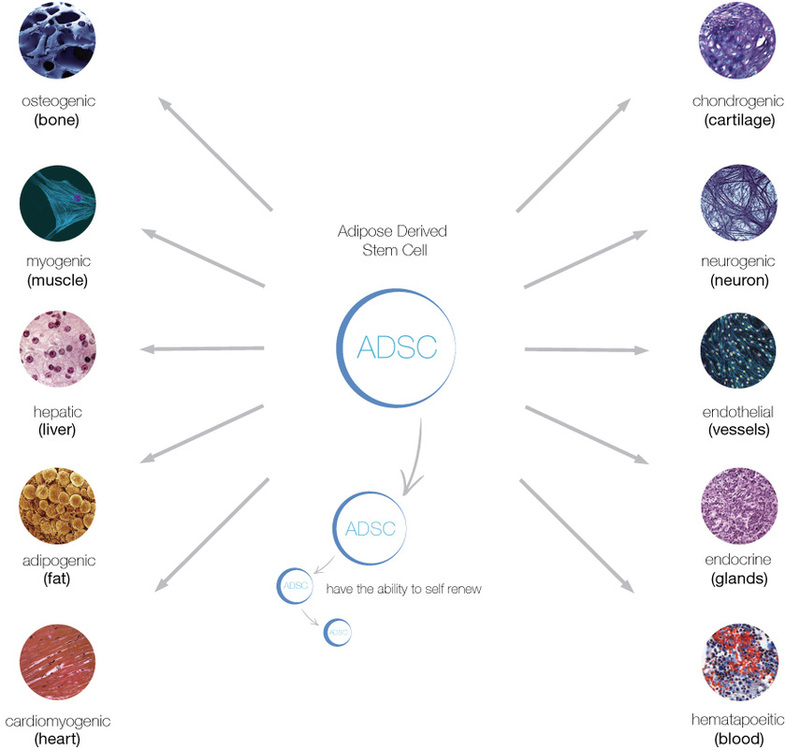 Enhancement of medical treatment through extraction, revitalization, concentration and target-oriented application of adult stem cells for treatment of any physiological disease is the future of medical science. The application of autologous adult stem cells, instead of embryonic cells, is scientifically and ethically appropriate, as well as, legally hassle-free. The prospects are immensely promising, and by far, the results have been impressive. NOTE: BACMT also has stem cell treatments available in China, Mexico and Thailand. To learn more about stem cells and then test your knowledge about them, please click here to view a short animation.